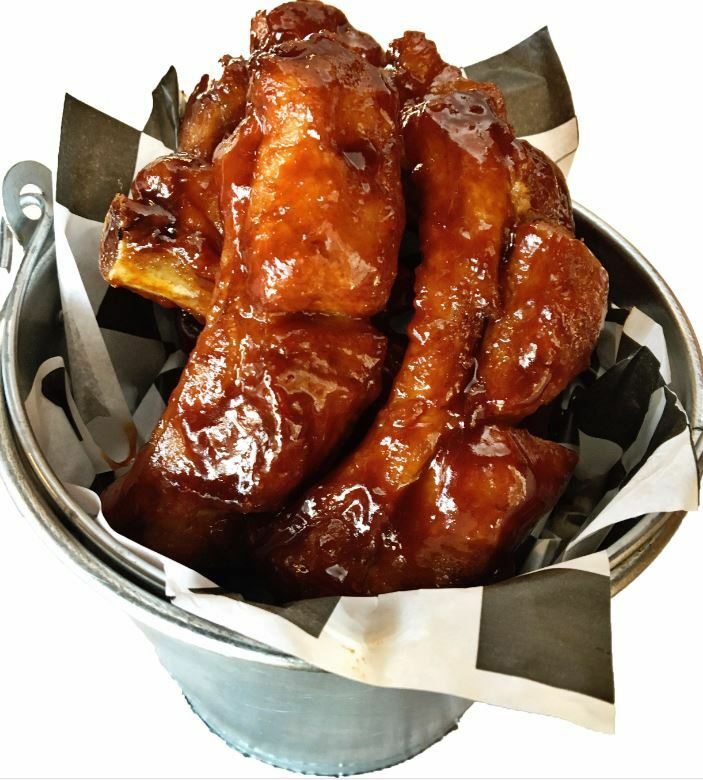 Wingbucket’s success is based on a unique cooking process and the use of only fresh and jumbo size chicken wings, tenders, and pork ribs. We seek to find the freshest products and the highest quality of ingredients. We are proud to serve a verity of wing styles, savory sauces, and fresh homemade sides that are prepared daily. Tossed in 19 different house-made sauces, your choices can be endless. "Delicious and great atmosphere. Amazing sauces! Clean and courteous staff as well. Hot sauces are very hot just like I like it." "Great. Now, when I want wings, I'm going to have to fly to Dallas! No other wing restaurant will suffice. These are the biggest, juiciest, and most delectable wings I've ever had! Not only are the flavors extremely tasty (I tried like 6), but the fries and dipping sauces are too (total game changers). The staff is also super friendly, very helpful, and so sweet! At one point, I even saw the chef mingling with customers. Do not believe the bozo negative reviews. This place is a must-try for all wing lovers!" "Best chicken tenders I ever had (Dry Rub), they are huge tender and juicy! They also have ribs which are awesome too, will definitely be back ASAP"
"Wingbucket was founded in 2012 by two good friends, who wanted to develop a new and unique fast-casual, wing restaurant in their hometown of Dallas. The WingBucket mission is to provide patrons with a new and different twist on chicken wings. Our motto is “Bigger and Better at the Bucket!,” and we stand by it with our JUMBO wings."